A sojourn along the stunning Dalmatian Coast is a breathtaking experience where majestic mountains meet a crystalline sea and archaeological treasures abound, from UNESCO sites in Sibenik and Trogir to the Venetian flair of Vis and Hvar – center of Croatian arts and literature. * All fares and savings are per person, in U.S. dollars based on double occupancy. Fares are cruise only and do not include taxes, fees, and port charges of US$315 per person. All prices quoted are for the cruise departing on 04Oct20. Other departure dates, rates and cabins are available upon request. Please speak to one of our Travel Specialist for more details. Venice rests three miles off the coast of mainland Italy and is considered one of the world’s most enchanting cities. Known as the “Queen of the Adriatic,” it actually comprises more than 100 separate islands. Laced together by a string of 400 intricate bridges, Venice is legendary for its labyrinthine network of canals. A whimsical stroll through the city can lead one to a hidden world of ornately decorated piazzas and shops. As you explore colorful marketplaces and busy town squares, marvel at a priceless legacy of Baroque architecture. Admire the richness of St. Mark’s Basilica and the lavishness of the Palazzo Ducale. Getting lost in Venice can be a truly delightful experience. The place of dreams, this romantic city will live long in your memory. In a region where the words “Baroque,” “medieval” and “Renaissance” – not to mention “beautiful” and “charming” – describe virtually every sight, one might think it would be difficult to find any one town that is a standout. Yet Trogir, Croatia, may just be that place. Located on a small island between the Croatian mainland and the island of Ciovo, the city of Trogir has a history that reaches back to the 3rd century BC, when it was founded by the Greeks. Later influenced by the Romans and Venetians, Trogir is nothing short of an open-air museum, sprinkled liberally with churches, palaces, towers and fortifications. Its Romanesque-Gothic quarter is one of the best-preserved not only in the Adriatic, but in all of Central Europe. UNESCO has recognized Trogir as the special place that it is, designating the historic center as a World Heritage Site. Long stretches of beaches, rocky mountains within reach of the sea, fervent summers, untouched nature and unique city monuments make up the beautiful country Croatia. The town of Korčula is the historical, cultural and political center of the island. Considered the birthplace of Marco Polo, Korčula’s history and tradition are apparent when you walk along the paved streets and squares of this lovely town. Cultural and historical monuments such as the Treasury of the Abbey, the City Museum and the Museum of Icons can all be found in Korcula. 515 sq. ft. / 47.8 sq. mt. Horizon Deck 3 280 sq. ft.
Seabreeze Deck 2 280 sq. ft. Horizon Deck 3 233 sq. ft. Designed for adventurous travelers seeking active and cultured experiences, Crystal Esprit offers a brand-new cruise alternative. Small enough to sail to exotic bucket-list destinations, you’ll enjoy a host of complimentary excursions and amenities in a very intimate and personalized manner. Crystal Esprit, the all-suite yacht will feature posh, high-end finishes and modern technology, and is outfitted with some ‘extreme’ features –a 2-passenger submarine, four 10-passenger zodiacs and a 12-passenger Wider 23-foot super yacht tender for special boating adventures. The yacht also has a huge range of water sport equipment available for guests including water skis, wake board, kayaks, scuba and snorkel equipment and much more! 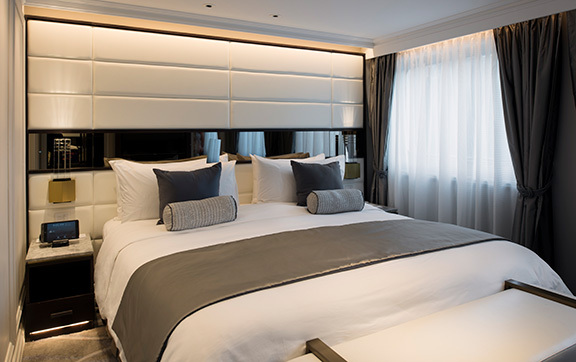 will mark the debut of the new all-inclusive Crystal Yacht Cruises program, which will sail regional, warm-water itineraries of seven days and offer fantastic experiences both on water and ashore. Gorgeous interiors and inviting social spaces are designed to Crystal’s All Exclusive standards of service, space, quality and choices. 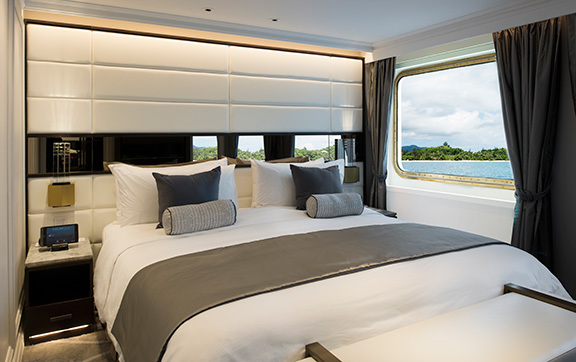 And while the ambience on board is characterized by Crystal’s unique understanding of luxury, the ultimate indulgence lies in the yacht’s relaxed, unregimented pace. Hand-selected officers and crew from the award-winning ranks of Crystal Cruises, and from other boutique hospitality venues around the world, fully engage guests in the Crystal Yachting Experience, striking the perfect balance of exacting professionalism and friendly camaraderie. Imaginative cuisine of Michelin-level envy. Lavish culinary presentations inspired by the flavors of lands explored. Classic specialties and innovative tasting menus. Crystal Esprit’s dining experience is savored in casually elegant, open-seating venues designed to celebrate food, wine and conversation. Itineraries are designed to complement the yachting experience, often island-hopping to multiple locales in a single day, or remaining at anchor in gorgeous harbors by night. Crystal Esprit offers unrivaled choices for cultured discovery along the Adriatic and active water play in the West Indies.